HU J, WANG N, HU Y. 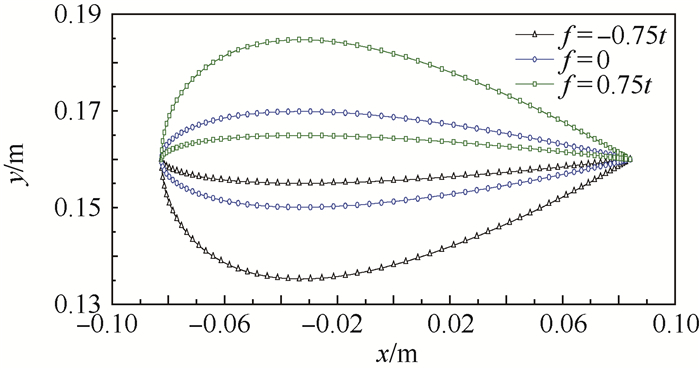 Performance comparison of accelerating duct and decelerating duct[J]. Journal of Beijing University of Aeronautics and Astronsutics, 2017, 43(2): 240-252. 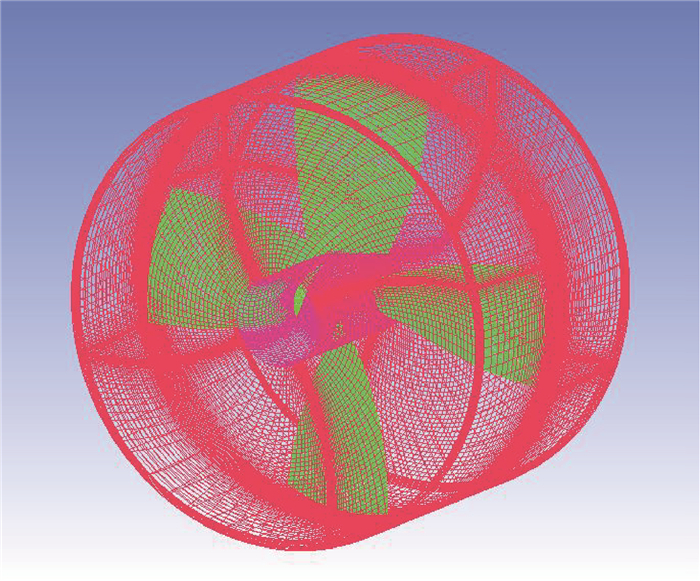 Abstract: In order to study the loading characteristics of different forms of ducted propellers, this paper analyzes the hydrodynamic performance of accelerating duct and decelerating duct and their influences on propellers by using computational fluid dynamics (CFD) method. 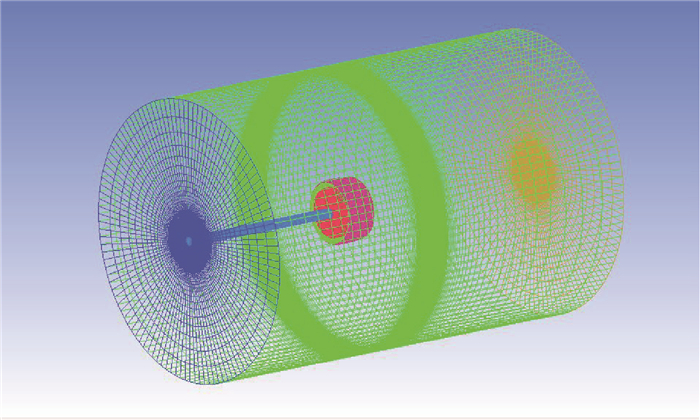 The computation domain is divided into two parts:cylindrical domain containing the propeller and outer domain containing the duct. The computation domain is discretized by using fully structured gridding technique to optimize the quality of grids and improve the accuracy of calculation. 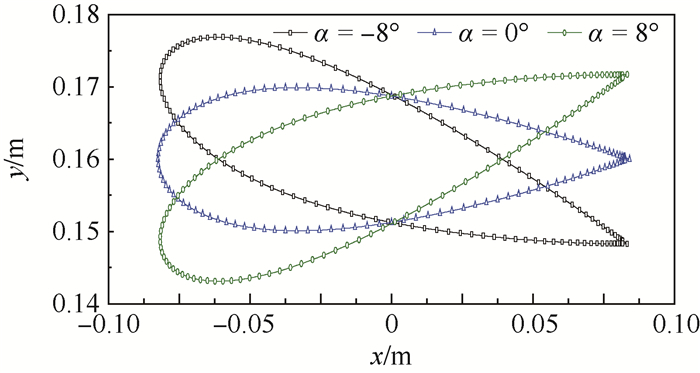 The continuity of physical quantities such as fluid velocity and pressure between different domains is guaranteed by using the interface technique. 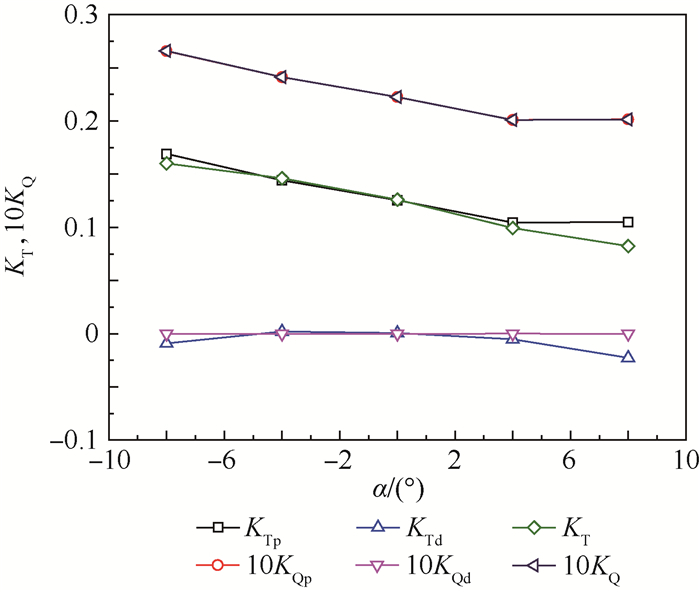 This paper analyzes the hydrodynamic performance of JD7704+Ka4-5508 first, and the according results are compared with those by experiments to verify the rationality of the model and the grids technique. 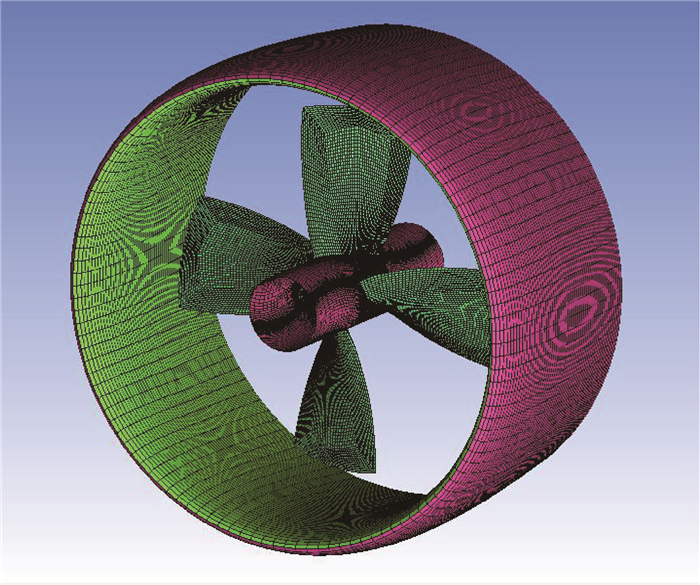 On this basis, this paper analyzes the hydrodynamic performance of accelerating duct and decelerating duct with varied cambers and angles of attack, and their influences on the loading state of propellers. 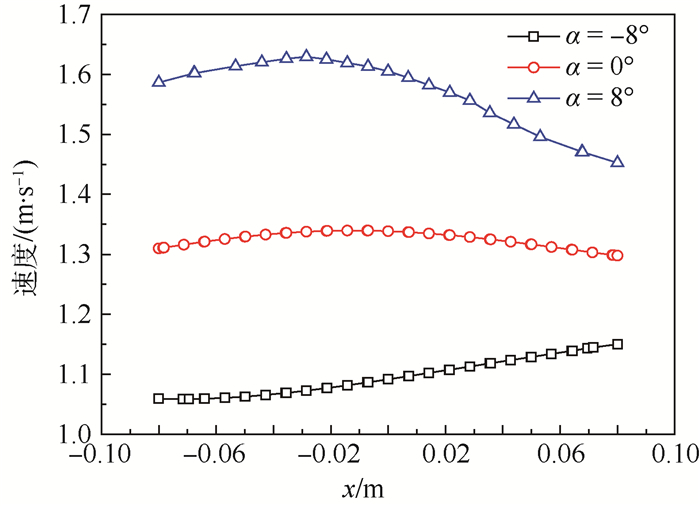 The study shows that the accelerating duct and decelerating duct due to the variation of the cambers and angles of attack have different hydrodynamic performance, and they can optimize the propeller's operating conditions and loading characteristics greatly. 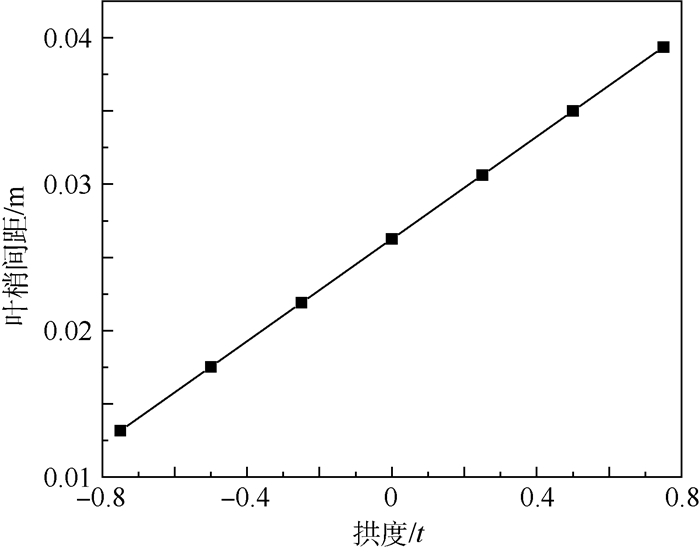 沈海龙.船体与节能附体及螺旋桨的非定常干扰研究[D].哈尔滨:哈尔滨工程大学, 2009. 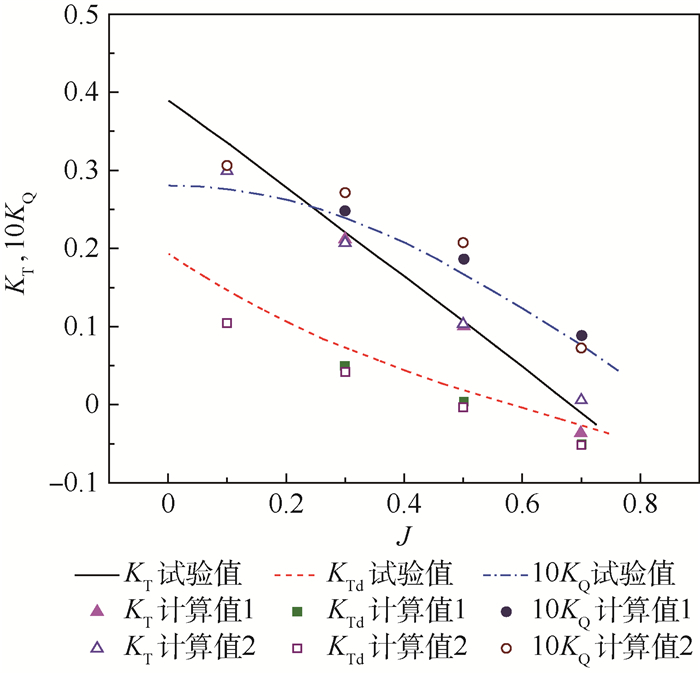 SHEN H L.Research on the unsteady interaction between ship hull and energy-saving appendage and propeller[D].Harbin:Harbin Engineering University, 2009(in Chinese). FEITEN W, BAUER R, LAWITZKY G.Robust obstacle avoidance in unknown and cramped environments[C]//1994 IEEE International Conference on Robotics and Automation.Piscataway, NJ:IEEE Press, 1994:2412-2417. 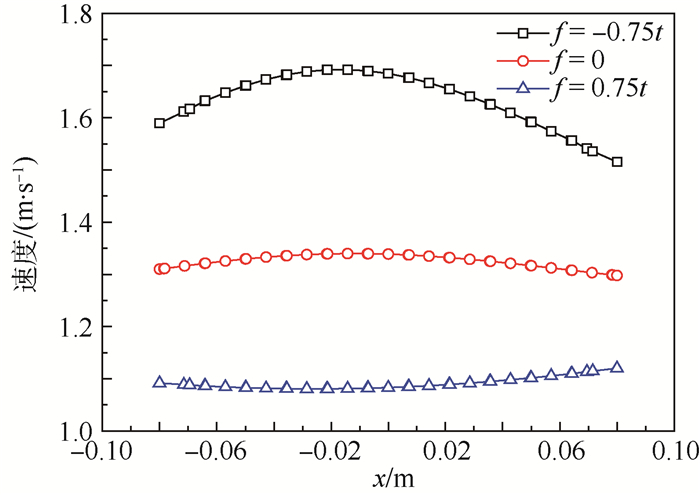 KHATIB M.Sensor-based motion control for mobile robots[D].Toulouse:LAAS-CNRS, 1996. 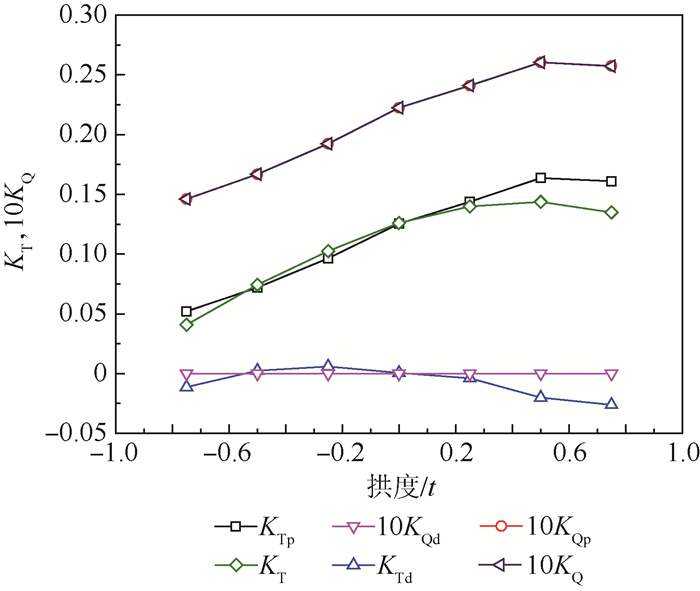 KAWAKITA C. A surface panel method for ducted propellers with new wake model based on velocity measurements[J]. Journal of the Society of Naval Architects of Japan, 1992	(172): 187–202. 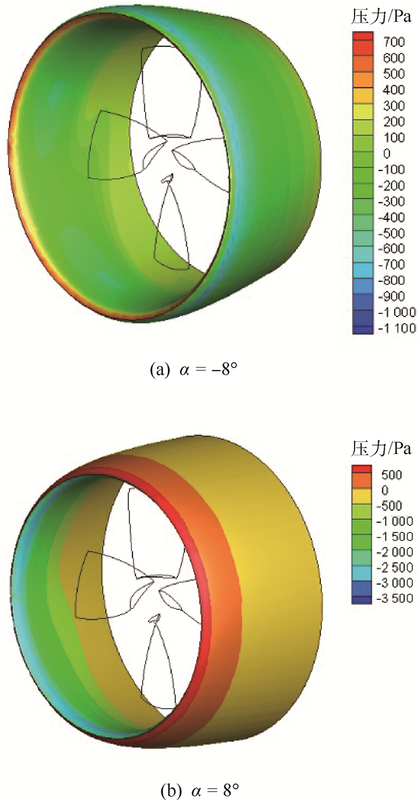 KINNAS S, HSIN C Y, KEENAN D.A potential based panel method for the unsteady flow around open and ducted propellers[C]//18th ONR, 1990:21-38. 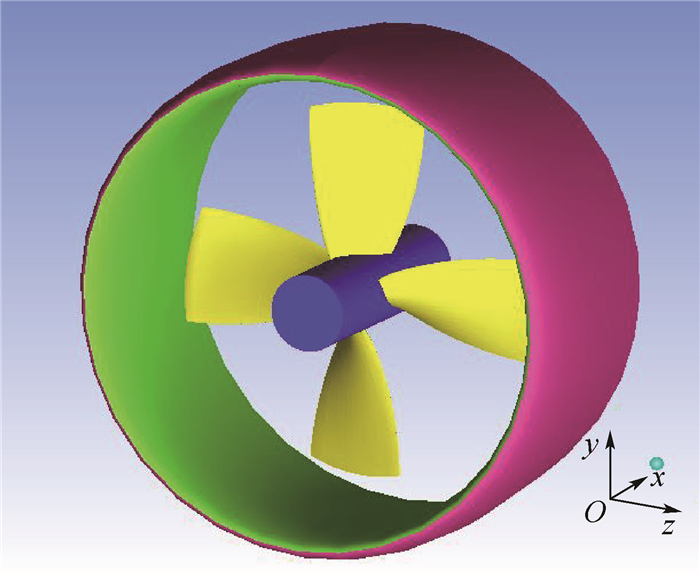 SANCHEZ-CAJA A, RAUTAHEIMO P, SIIKONEN T.Simulation of incompressible viscous flow around a ducted propeller using a RANS equation solver[C]//Proceedings of the 23rd Symposium on Naval Hydrodynamics.Washington, D.C.:National Academy Press, 2000:527-539. 崔立新.导管螺旋桨的水动力性能及噪声性能预报[D].哈尔滨:哈尔滨工程大学, 2013. 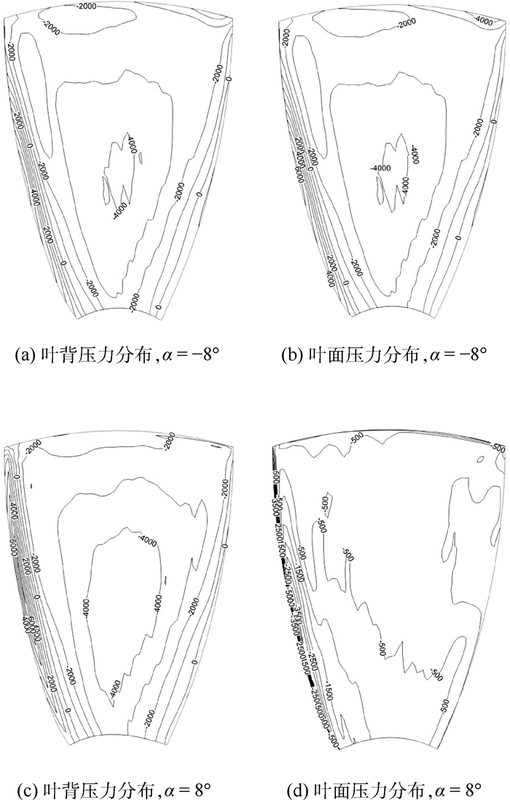 CUI L X.Prediction of hydrodynamic performances and noise of ducted propeller[D].Harbin:Harbin Engineering University, 2013(in Chinese).